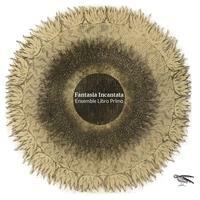 Ensemble Libro Primo : Fantasia Incantata. A fantastic classical violin and lute duo interpreting baroque composers. The term "Stylus Phantasticus" first arises in "Musurgia Universalis" (1650); Athanasius Kirchner's work about harmony in music. It is a style of both composing and performing instrumental music which derives from phantasiren or "the art of improvising". "Stylus Phantasticus" represents a form of liberty in the composition of instrumental music. The style does not confine the composer's imagination or force it to abide by strict rules. This way of writing instrumental music can be difficult to define using common structures and forms of the early 17th century. In this case, the composer's will to write down and structure their ideas was a natural conveyance of a highly elaborate improvisatory performance practice. Johann Mattheson writes about this contemporary performing style: "The Stylus Phantasticus is sometimes agitated, sometimes hesitant, sometimes one- and sometimes many-voiced; often also shortly after the beat: without rhythm; but not without the intention to please, to rush nor to amaze." For our CD, we have selected works representative of this genre not only for their obvious virtuosity, but also for their subtlety. The liberty within the style leads us through fantastically quick passages and also to moments of hesitation and silence. The juxtaposition of intense and frantic passages with the hesitant and tardy holds a particularly human charm. Often interspersed amongst the quasi-improvisational passages of music, in both Giovanni Buonaventura Viviani and Giovanni Antonio Pandolfi Mealli, are ground-basses providing occasional respite in the form of a repeating and reliable ostinato bass-line. Nicola Matteis exhibited the eccentricity of the "Stylus Phantasticus" in his personality as well as his compositions. He was praised for his eloquent, expressive style by his contemporary Roger North. We can imagine his way of playing by studying his Passaggio Rotto. Biagio Marini subtitles his Sonata Quarta "Per sonar con due Corde" which suggests that using double stops on the violin was extraordinary for the time in Italy. We see the same effect as commonplace in Heinrich Ignaz Franz Biber's violin works; as he often writes multi-voiced chords and in scordatura (alternate tuning systems). Heinrich Ignaz Franz Biber's Darstellung im Tempel (The Presentation) is the fourth sonata in the cycle of the famous 15 mystery sonatas describing the lives of Jesus and Maria. This sonata is a set of variations composed over a ground bass.The fourth sonata belongs to the "Joyful Mysteries" and the eight bar ostinato bass as the musical foundation builds a heartfelt theme. The "Rosenkranzsonaten" are a monument in the 17th Century works written for violin, not only for the fact that each sonata is written for a differently tuned violin but for the heavy narrative imbued in each of these sonatas. We have tried to symbolize the equality and intimacy offered in this fantastic music by recording and producing it ourselves in the atmospheric surroundings of Glasgow Cathedral. License A fantastic classical violin and lute duo interpreting baroque composers by Ensemble Libro Primo for your project. Play the music of Ensemble Libro Primo in your restaurant or store.